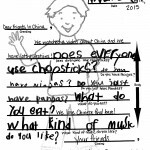 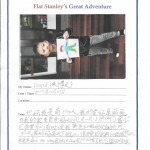 Flat Stanley Friends – California, U.S.A.
Just received Flat Stanley projects from our friends in California, U.S.A.. From: Chelsea I will assign a student to take Flat Stanley out and about, and mail them back to California, U.S.A. as soon as possible. 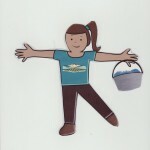 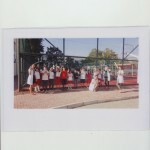 Just received Flat Stanley projects from our friends in Antalya, Turkey. 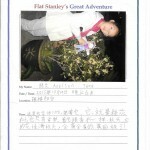 From: Batuhan I will assign a student to take Flat Stanley out and about, and mail them back to Antalya, Turkey as soon as possible. 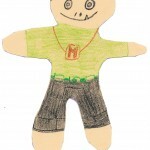 Flat Stanley Friends – Dallas, Texas U.S.A.
Flat Stanley Friends – Dallas, Texas U.S.A. Just received Flat Stanley projects from our friends in Dallas, Texas U.S.A. From: Daniella and Emanuel I will assign a student to take Flat Stanley out and about, and mail them back to Dallas, Texas U.S.A. as soon as possible. 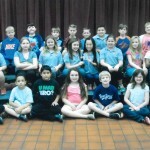 Flat Stanley Friends – West Blocton, Alabama U.S.A.
Just received Flat Stanley projects from our friends in West Blocton, AL U.S.A. . From: Dakota, Mahaley, Lily, Maddison, Brody, Carson, Preston, Klair, Donavan, Lyndon, Ainsley, Joy, Gauge, Kevin, Will, Katie Sue, Adrianna, Logan, Julian, Blake, Makinlee, Alex, Matthew, Kylie, Hunter I will assign a student to take Flat Stanley out and about, and mail them back to West Blocton, AL U.S.A. as soon as possible. 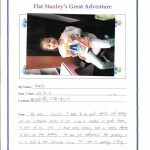 Flat Stanley Friends – Milwaukee, Wisconsin U.S.A.
Just received Flat Stanley projects from our friends in Milwaukee, Wisconsin U.S.A. From: Aaliveas, Abhis, Amelia, Bailey, Breanna, Cameron, Chinazas, Gabriel, Gavin, Hailey, Lakiesha, Mikayla, Shaniya, Travis and Zayden I will assign a student to take Flat Stanley out and about, and mail them back to Milwaukee, Wisconsin U.S.A. as soon as possible.